Lion Charlie Brown congratulates Marianne Teresa Sadler on reaching 2-gallons. The Woodbury Lions Club hosted an American Red Cross blood drive on July 15, which produced 65 units of lifesaving blood. Since each blood donation has the potential to save up to three lives, everyone who participated can feel good knowing they helped save up to 195 lives. It was a day of milestones. Lions Club Co-Chairman and Red Cross Blood Drive Coordinator, Carl Hirlston, was busy handing out gallon donor pins to all the dedicated blood donors who visited the drive. * Jimmy Alexander, the first person to sign in to donate, gave his 40th pint of blood and received a 5-gallon donor pin. * Orval Gray received his 7-gallon pin, while his wife, Esther, received her 5-gallon donor pin. In addition to volunteering at the Woodbury Lions Club blood drives, the Grays give their time to Red Cross Disaster Relief and the Cannon County Food Bank. 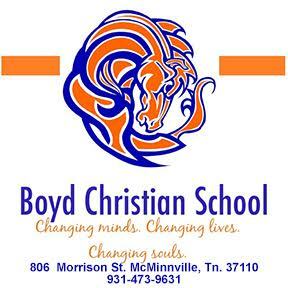 * Marianne Teresa Sadler received her 2-gallon pin. 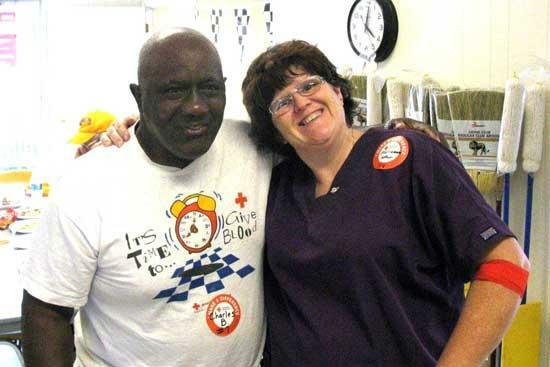 In addition, Charles Jennings donated his 19th pint of blood and Lion Charlie Brown gave his 34th pint of blood. Thank you to the Woodbury Lions Club for their continued support of the Red Cross blood program. Charles Jennings donating his 19th pint. Lion Artie Jean McIntyre pins a 5-gallon pin on Esther Gray. It is so great to see the Lions Club continuing to work with the red cross. Even better that the people of Woodbury and Cannon County are constantly willing to give blood.